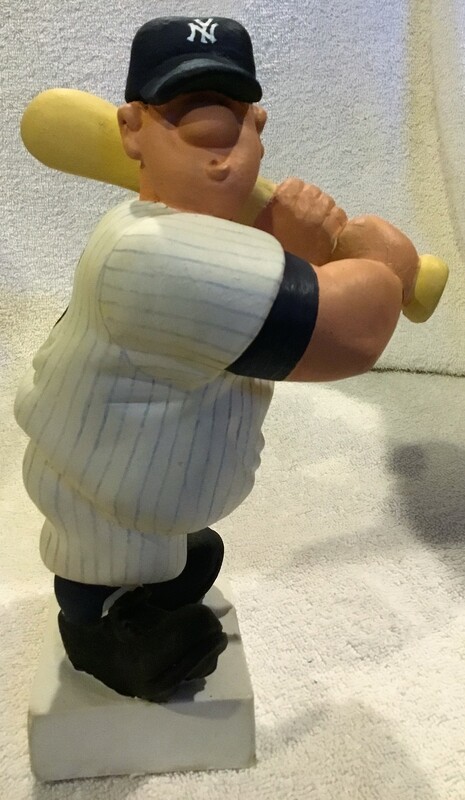 This New York Yankees chalk ware statue was cast and hand-painted by the master himself- Fred Kail. It is a more modern statue (issued within the last 20 years) but it is still quite rare. 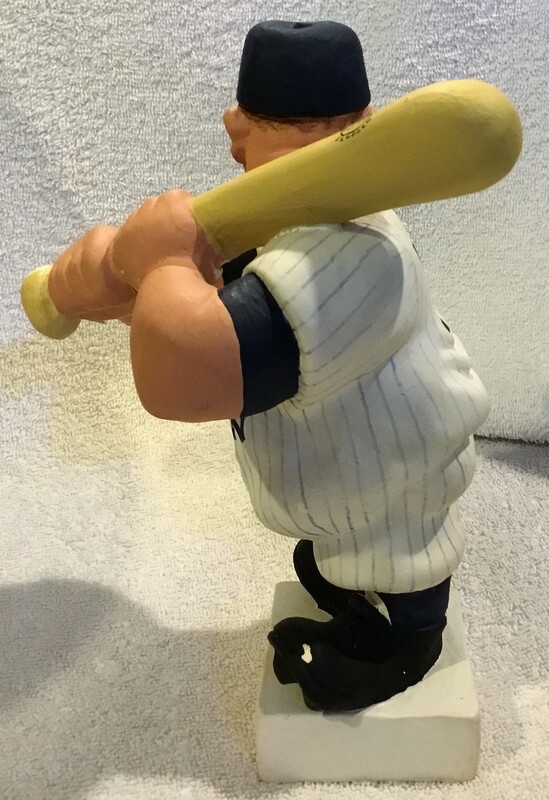 Mr. Kail made these special order statues in very small quantities. The statue stands about 9" tall. 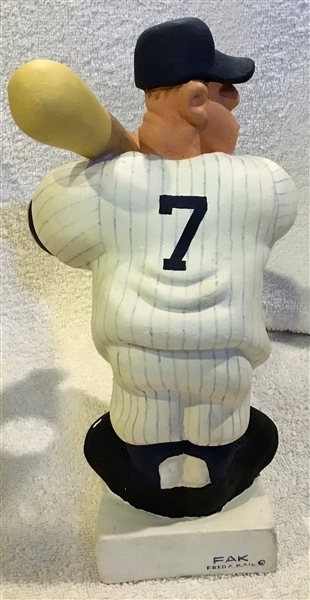 It has nice bright coloring and the player wears the always popular number 7 (Mickey Mantle). There are a few paint flecks on his hands, but it still displays nicely. Here's a chance to own a classic looking piece at a fraction of the cost of an original 60's Kail.